Arturia has long been a company that intends to excel at creating multi-purpose, versatile products. The BeatStep Pro, Arturia’s drum and sequencer product, allowed for a dizzying array of setups, whether it was being used as a central hub for synthesizer modules, or simply as a MIDI-through for a DAW. All of these features allowed for a useful and effective product in a niche that seems a bit too crowded these days. 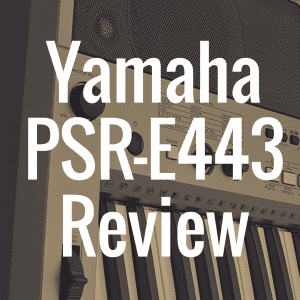 For the KeyStep, Arturia took this same approach and applied it to a keyboard-style MIDI-controller, packing in an impressive amount of features into what essentially only amounts to a backup keyboard. There’s a lot to love about this little keyboard, though, so let’s dive in and take a look. And below, please quickly take a moment to view our interactive table so that you can easily compare how well the KeyStep stacks up other notable keyboards on the market. The Arturia KeyStep offers a 2-and-a-half-octave keyboard on its white, plastic body. These keys are slimmed down, and this really is a keyboard that is miniature; it’s best to know that going into it. Clearly, it was designed to be portable and easy to use on the go, but even then, it seems to me that it’s a bit too long to carry around all over the place. I would have preferred Arturia to have settled for one or the other, but we will get into that further in a moment. The main user interface of the KeyStep is simple and intuitive for the most part. The button layout makes sense, and most of them are backlit for convenience. The pitch bend and mod wheels are not physical wheels at all but capacitive touch sensors; a cool gimmick that may ultimately put some traditionalists off a bit. I found that although they had a novel and odd design, the functionality was still very much on par with the real deal. Beyond all of this, there are plenty of buttons that can be assigned functions, along with several “primary” ones that control things like tempo, arp mode and more. During my playtest, I noticed a few different things about the keyboard as a whole. For one, there are an array of options for powering and connecting the KeyStep to any number of different devices. Power can be provided either from a regular computer USB cable, or a Micro-USB as well. This seemed like a great addition for portability and impromptu live stage setup. Additionally, this also has potential for connecting to CV-based modular synths. This could be a very cool addition for the right person. There’s also a host of other connections, like a sustain connection (which seems a bit less useful considering the nature of the slim keyboard), a couple of sync sockets, and so on. The KeyStep can clock internally, and will also sync up with external devices when needed. The only issue is that the controls are mapped to dip switches on the rear of the device; an odd change from the superior buttons found on the BeatStep. While I didn’t play around with this feature personally, other reviewers have noted that this became meddlesome during use. All in all, the interface is a smooth and well-thought-out layout that is highly playable. The lack of availability for deeper customization hurts the keyboards versatility a bit, but the ability to sync across multiple different platforms makes up for this oversight. I wanted to jump in and test out the playability, so I went ahead and turned the KeyStep on (plugged into a MacBook Pro running Ableton Live). As soon as the cable is plugged into the device, it springs to life via a pattern of colorful lights. Almost instantly, I was up and running, pushing patches through to the keyboard with ease. I was able to figure out the arpeggiator functionality immediately, and with a switch of the “Play” button, I was up and running. There are 8 total arpeggiator patterns to choose from, and switching between them all is a fairly straightforward process. You can select different gate and swing parameters, as well as different time divisions up to 16th note triplets and duplets. I was pleased with the overall playability of the arp mode in general, but I found that the slim-line keyboard quickly showed it’s drawbacks here. I was struggling to feel at home with my fingers over the key-bed, and I couldn’t ever quite shake that uncomfortable feeling. I wouldn’t go so far as to say it was unplayable, but I found myself having to put extra effort into maintaining proper spacing on the condensed layout. As for the sequencer mode, what I tried out was pretty standard-fare. The KeyStep supports a 64-note memory, and an 8-sequence bank to work with. The Tap Tempo button turns into a ‘rest’ input, allowing for some cool musicality when playing along to sequences. In addition to this, you can switch into Keyboard Play Mode, which allows you to play the keyboard independently while the sequencer is playing. I was able to craft some pretty cool little sections using this mode. There are a number of other novelty settings that can be implemented in these modes, from polyphonic chordal sequencing using up to eight notes per step, an assignable ‘mod’ output for additional creative control over sounds, and some additional aftertouch settings to boot. Overall, there’s a lot to enjoy here. At the end of the day, this is simply a functional and operationally simplistic MIDI controller with some interesting parameters to play around with. 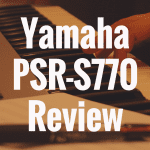 Most people who will be looking for something like this will not be looking for their primary keyboard, but rather a backup for live purposes, or a companion to a CV module or Eurorack. Because of this, I wouldn’t say it’s ideal to do just about anything on it’s own; there are certainly better full-time MIDI controllers out there in the wild, and as far as module controllers go, this isn’t particularly groundbreaking in that regard either, although it is fairly rare. That said, it is a solid player for what it does bring to the table, and there are a few key differences between the KeyStep and its competition that are worth noting. 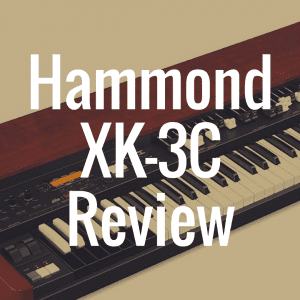 For one thing, the arpeggiator and sequencer, minor gripes aside, are far more playable and advanced than the ones found on many competing products at the same price level, and these features can go a long, long way for the price being asked. At $119 retail price, you’ll be fairly hard-pressed to find something more complete and intuitive at this range. While the key-bed doesn’t scream incredible build quality, it is just as good if not better than what it’s competitors have to work with. The BeatStep and BeatStep Pro from Arturia have been around a bit longer than the KeyStep has, and they serve very different functions. This isn’t exactly clear from the get-go, though, so let’s take a look at exactly where these products diverge. The BeatStep and the Pro version are, at their core, melodic step sequencers with drum machines built-in to them. This means that their primary function is live performance, generating ideas and experimenting with sounds in the studio. This limits their functionality quite a bit, especially for those who wish to play and compose melodies pianistically. 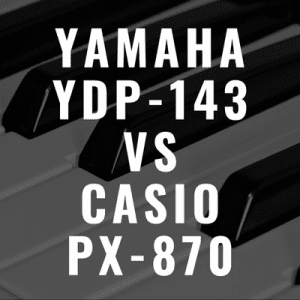 Take the addition of an arpeggiator and the sequencer on the KeyStep, plus the ability to perform while these features are active, and finally combine all of this with the intensive connectivity this device enjoys, and you’ve got a winning recipe for those looking for something altogether different from these two products. As a whole, I very much enjoyed playing the KeyStep digital MIDI controller and messing around with its varying functionalities. I found that I was able to get into the inner workings of the device quickly, and that learning how to use the different modes and settings was much easier than many competing products and user interfaces. The device has some seriously impressive connectivity and compatibility, and I feel that overall, the build design and layout is very good. All of that said, there were plenty of things I didn’t overly enjoy about the Keystep. One major gripe was with the form factor itself; like other reviewers have said, I really can’t decide whether this device was originally meant by Arturia to be an at-home studio aid or a portable controller for use on the go. The slim keys seem completely unnecessary due to the large range and overall length of the body, and I feel as though a very big sweet spot was missed during the design phase of the KeyStep. In addition, while the construction quality of the body feels solid enough, the key-bed feels a bit flimsy and uninspiring. This is very much a nitpick, especially when you consider the price point at $119.99. 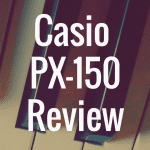 While this isn’t the best cheap MIDI keyboard around, for most people looking to use this in a complimentary role to a main keyboard or workstation, this will probably work very well overall. At the price being asked for the KeyStep, it can almost be considered a risk-free purchase. If you can look past some of the minor issues above, this can be a very nice, reliable controller with some powerful functionality packed in. If the keys, lack of depth in customization and odd form factor don’t put you off, this is a device that will be likely to serve you well for several years to come. 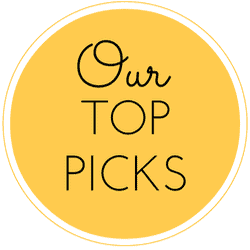 If this article helped you, please “like” our Facebook page! What’s the Best MIDI Controller Under $200? 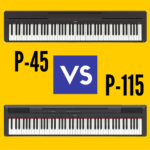 Yamaha P45 vs Yamaha P-115: Which is Better?